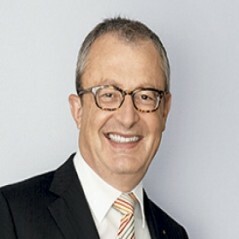 Andreas Waldmann, Partner and attorney at law, acts as a Notary Public for all transactions in connection with real estate, commercial register transactions, marriage contracts, contracts of inheritance, wills and renunciation of inheritance contracts throughout Switzerland, as well as limited liability company (GmbH) share transfers and pledges for companies in Germany. This certified specialist in inheritance law advises private persons in particular on inheritance law and companies about their daily business, acquisitions, restructuring and succession planning. He also acts in court cases in the German-Swiss cantons in all areas of private law and as a specialist in inheritance law. Andreas is a member of the Swiss Bar Association (SAV) and Honorary Consul for the Czech Republic.